Figures show a record number of UK businesses are interested in exporting through the government’s Exporting is GREAT website. New figures today (18 April 2016) show a record number of UK businesses interested in exporting through government-brokered opportunities, with over 20,000 responses since November 2015. The news comes as the government kicks off Exporting is GREAT Week. The statistics, released by UK Trade and Investment (UKTI) the government department leading Exporting is GREAT, demonstrate the huge demand for UK products and services overseas. Over 6,000 export opportunities have been showcased at exportingisgreat.gov.uk since November 2015. 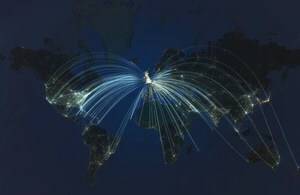 This equates to 40 new opportunities every day or a new chance to export roughly every 37 minutes for UK businesses. Opportunities have come from 109 countries and 44 different sectors, including the chance to sell tea to China or cheese to France. They also highlight a Spanish demand for our deckchairs and a Finnish thirst for British beer. We have a proud history as a trading nation. The development of digital technology has the potential to give even the smallest company a global reach and access to attractive new markets. This government is committed to supporting 100,000 more UK businesses to export by 2020. Exporting is GREAT Week is the perfect time to inspire companies to take advantage of the world of opportunity out there and the global demand for British products, skills and expertise. Today’s figures are revealed on the first day of Exporting is GREAT Week. Running from 18 to 22 April 2016, the week sees around 90 events take place across the UK to help more first-time exporters make exporting work for them. Companies are increasingly realising the benefits of strengthening their overseas business, with new exporters making up nearly a fifth of UKTI customers (19%). In addition, since November 2015, as part of a year-long roadshow around the UK, the Exporting is GREAT Export Hub, has provided close to 3,000 companies with advice and support to grow their business overseas and brought them face-to-face with live global export opportunities. UK Export Finance (UKEF) can also provide financial advice for companies of all sizes. The UK’s export credit agency helps businesses to realise export opportunities through guidance from a specialist export finance adviser and through insurance and bank guarantees to support export contracts. Over the past 5 years, UKEF has provided over £17 billion worth of support to British businesses – helping more than 300 businesses directly and many thousands more in their supply chains. Figures are calculated from data from www.exportingisgreat.gov.uk for the period from 9 November 2015 to 31 March 2016. Exporting is GREAT Week runs from 18 to 22 April 2016. Around 90 events across the UK will support more companies to export or increase their overseas business. Another Exporting is GREAT Week will take place during November 2016. Exporting is GREAT aims to inspire and support 100,000 additional UK exporters to sell their goods and services overseas by 2020. Launched in November 2015, Exporting is GREAT partners with major UK businesses, to support companies at every stage of their exporting journey – from identifying opportunities to winning contracts overseas. A year-long roadshow began in November 2015 during which the Exporting is GREAT Export Hub is travelling the length and breadth of the country providing face-to-face assistance to first-time exporters at large trade and smaller bespoke events. On board the latest technology from our partners Microsoft and BT connects businesses with live export opportunities, putting them face-to-face with global demand for UK products and services. This was published originally by UK Trade and Investment which has since moved to the Department for International Trade (DIT).